It's the Toppermost of the Poppermost . 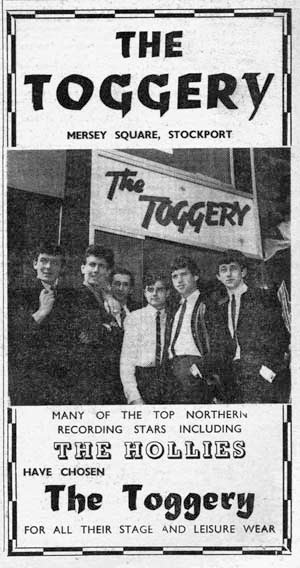 . .
We're tipping our caps to Stockport's legendary 1960s purveyor of menswear to the stars, The Toggery for this month's fair. Renowned as THE place to go for all the latest fab gear, The Toggery supplied quality ready-to-wear and bespoke suits in everything from mohair to leather (they specialised in custom leather outfits!) 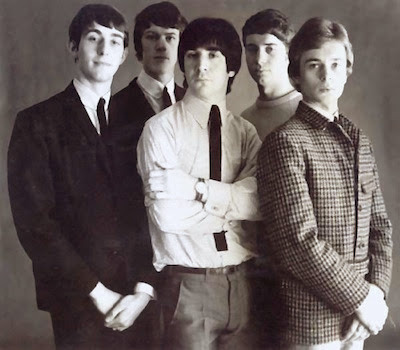 Michael Cohen, the proprietor, became the first manager of The Hollies, as well as local nearly-made-its The Toggery Five, and we think he deserves a party in his honour. Get Ready Steady Go for a 1960s-themed vintage extravaganza! ★ The Stockport Ukelele Players, who will be assembling en masse to delight you with their renditions of 60s tunes. 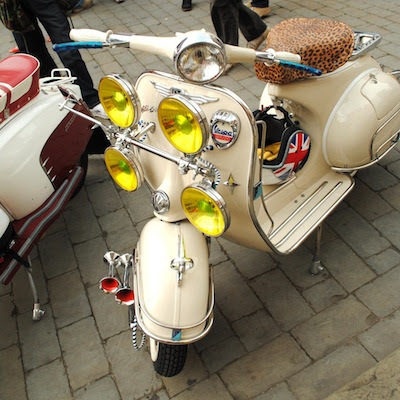 ★ We're hoping for a good turn-out from local scooter clubs including the Manchester Lyons and Salford Knights, so you'll have some covetable two-wheeled treasures to ogle! ★ Andy Lawton (Mr Dabberdecades) spinning vintage vinyl Northern Soul classics and obscurities. 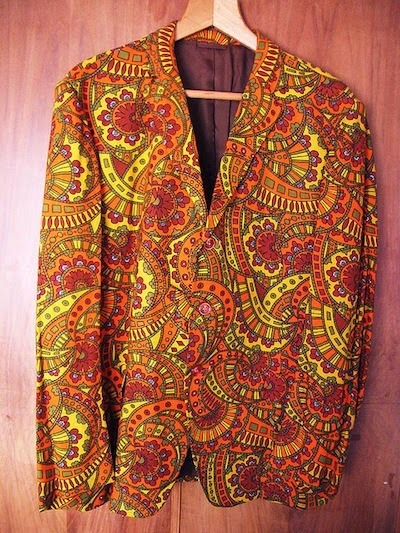 ★ Dabberdecades will be returning with their astonishing range of original designer 1960s clothing and homewares. ★ Lady Kitschener's Vintage Emporium is having a clearout Summer Sale! ★ All Our Yesterdays is having a £3 Sale, and 4 items for £10 on their shelves! ★ RetroFunky is having a Trunk Sale! Top quality all day refreshments available from Kandoo Mobile Coffee (best coffee in the North West! ), the mighty, award-winning Lord of the Pies with their traditional and modern hand made gourmet pies, the welcome return of Honest Crust Pizza hand-crafting fresh sourdough pizzas to order, and our stalwart, award-winning Chef de sweet treats, Stuart Thornley Cake Design. Menus will be added below as soon as we get them. UPDATED UPDATE! The outrageously fabulous mobile gourmet ice-cream vendor Ginger's Comfort Emporium IS coming along! NEW! British Beef & Blacksticks Blue Cheese. Stockport V - Vegetable & Mycoproteins stew, Lyonaise Potatoes & Robinson's Old Tom Ale. Stockport Pie - Cheshire ground beef, local grown veg and Robinson's Old Tom Ale. Cupcakes including the Ice Cream Collection - 99 Flake, Twister Lolly, Fab Lolly, Screwball - and the Baker’s Dozen vote winner. So who will be waiting for you inside Stockport's airy and elegant covered market hall? Here's our not-finished-yet list of confirmed traders - the true stars of every show! - with more to come soon! NEW! A Vintage Affair - vintage homeware, kitchenalia including glassware, linen, cutlery, small furniture. Dabberdecades - your first port of call for incredible 1960s clothing, accessories, homeware and decor. NEW! FOUND Vintage Homewares - vintage homeware 1950s-70s. J'Adore Vintage - award-winners in the Best of Vintage Manchester Awards 2012, offering fashion-forward women's wear and accessories. Lady Kitschener's Vintage Emporium - vintage homeware, books and children's stuff. NEW! Lucy Williams Antiques - a mixture of vintage and antique homeware, curios, and clothing. Mabel on the Table - homeware 1950s-70s. Pretty Nostalgic - everyone's favourite brilliantly British vintage lifestyle magazine! NEW! Retro Queen Boutique - vintage women's clothing and accessories. Rita Machin - an eclectic selection of jewellery, glass, stainless steel and ceramics. A rare surviving Toggery jacket, which you can see on the day at TinTrunk's unit at Room at the Top (sorry, it's not for sale!) Source. Advertisement for The Toggery, Stockport. Source. Dressed by The Toggery - The Toggery Five. Source. A visiting scooter at last August's Vintage Village Fab Gear Fair. Photo by Frankie Cooksey. 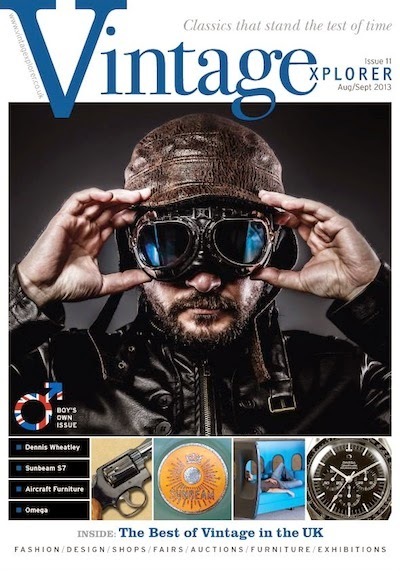 The new 'Boy's Own Issue' of Vintagexplorer will be available at the Toggery Fair. Pick up your free copy at Room at the Top Vintage Goods. NEW! Rupert's Vintage Finds - vintage items, mostly homeware from the 1930s-80s. Shady Lane Vintage - vintage women's clothing, accessories, homeware, fabric, pattern books and magazines 1940s-70s. Suzylovesmilo - women's vintage clothing and accessories (and some men's too! ), homeware 1950s-80s; handmade clothing accessories and homeware made from new and upcycled materials. The Lost and the Found - quirky and unusual vintage items including homeware and costume jewellery. The Sun Will Shine Vintage - vintage homeware. Vintage Emporium - women's vintage clothing 1930s-70s, ephemera, suitcases, ceramics. NEW! Vintage Glass Houses - vintage glassware including Murano, vintage and Art Deco costume jewellery.